The first stage of the 2016 Afriquia Merzouga Rally was tough. 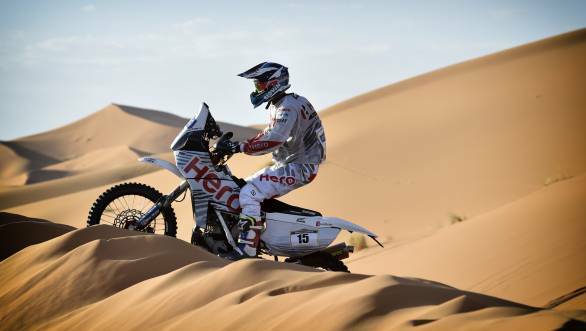 The temperatures went well above the 40 degree celcious mark, and the dunes in Merzouga and Erg Chebbi threw plenty of challenges at the riders. 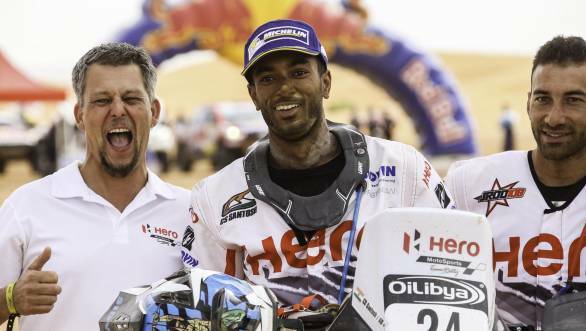 Despite it all, the newly formed Hero MotoSports Team Rally and its riders CS Santosh and Joaquim Rodrigues managed to impress.